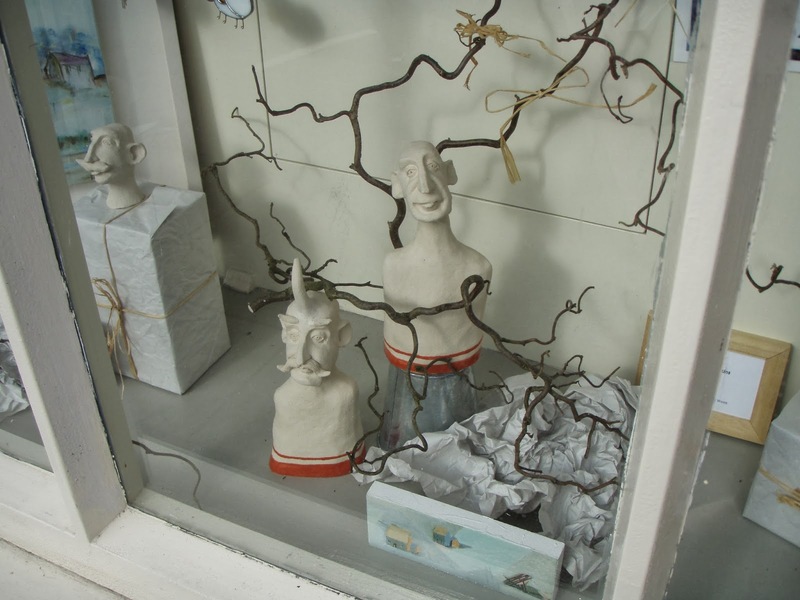 Clifden a place I have mentioned many times before is a beautiful town on the edge of the Atlantic. 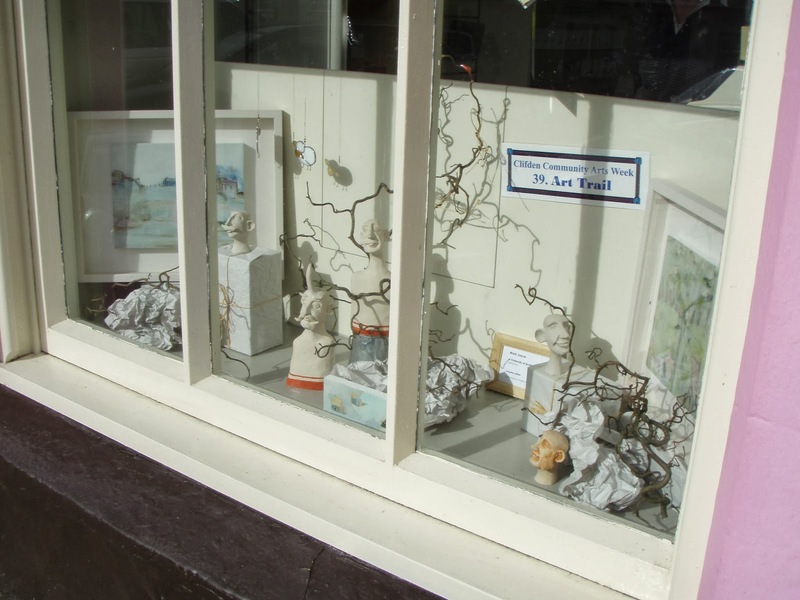 They hold an Arts Festival every September, and as part of it they have an Arts Trail on the shop windows. 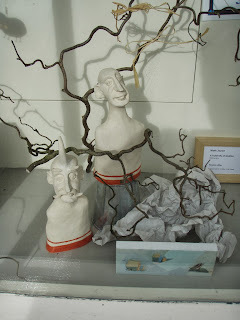 This post is a little late for you to catch it live but I wanted to share my contribution to it. 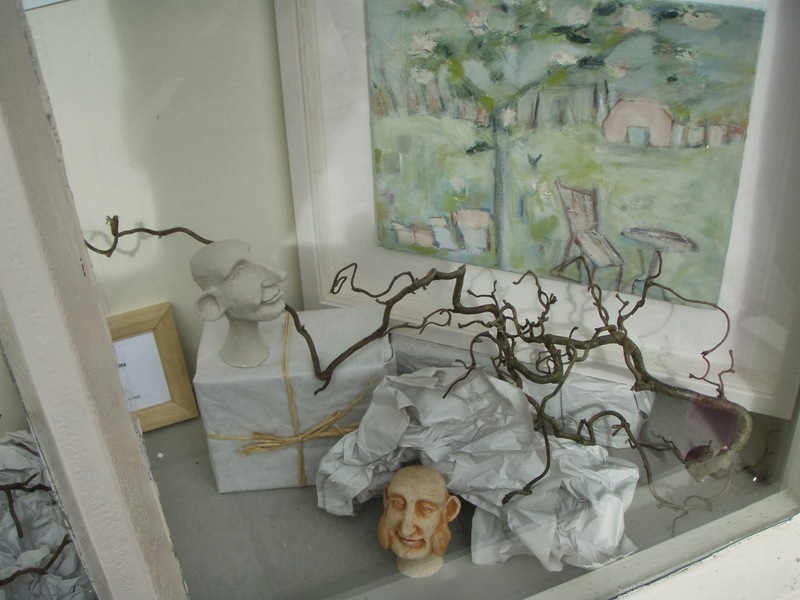 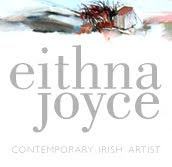 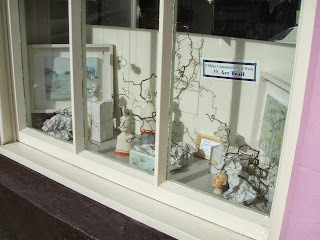 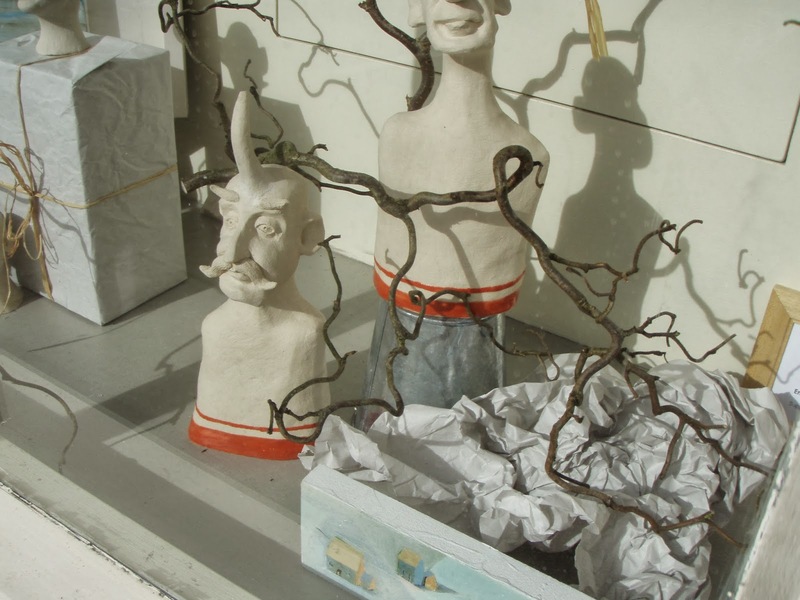 I display my work on Derval Joyce's window, she is my sister and to keep it in the family my nephew Mark Joyce exhibited his sculptures. Mark has an interesting page on Facebook Mythology Iireland that you should also check out.